Could Bruno Mars knock Ed Sheeran off the top of the Hot 100? Whenever a member of One Direction strikes out on his own, it’s guaranteed to make a splash. Harry Styles now follows in the footsteps of his bandmates, releasing long-awaited first solo cut Sign Of The Times. Co-written with serial Kanye collaborator Jeff Bhasker, the track has already hit the top spot in close to 90 countries just 48 hours after its release. 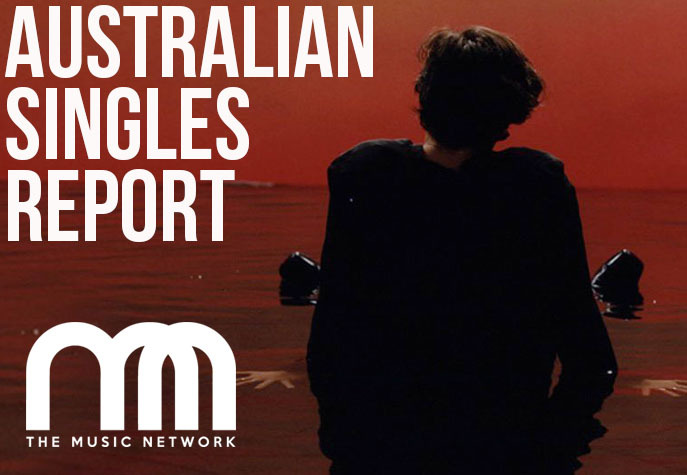 “Styles will likely blow the collective minds of Australian commercial radio and half the general population this week, but you already knew that,” says TMN’s Charts Editor Daniel Respall, who notes that it was a shoo-in for this week’s #1 New Single. Similarly, Calvin Harris’ #1 Most Added To Radio was also to be expected. Whenever the Scottish producer drops a new track, it’s always universally well received, especially by Australian radio. Last single Slide ft. Migos & Frank Ocean came loaded with potent appeal to both alternative and commercial sides of the FM airwaves. Now we’ve got Heatwave ft. Ariana Grande & Pharrell Williams. Added to 61 stations this week, it copped across the board additions from the Nova Network, KIIS stations and both metro and regional Hit stations. The lack of an alternative hip hop icon like Frank Ocean on this track means that it missed out on the triple j addition this time around, however. Meanwhile, returning to #1 on the Artist Top 50 after a three-week tug-of-war is The Chainsmokers & Coldplay’s Something Just Like This, overtaking Ed Sheeran’s Shape Of You at the top of the chart. Mirroring the success the track has been seeing online (#2 iTunes, #5 Spotify) and on radio (#1 Hot 100), Something… lands ahead of the latest Sheeran track to gain traction, Galway Girl, as well as Drake’s Passionfruit which has proved to be the Australian favourite thus far from More Life. Amidst the Sheeran/Chainsmokers charting showdown of late, Bruno Mars keeps the Hot 100 interesting with new single That’s What I Like stealthily making its way to #2. It’s Mars’ second track to hit the Top 3 in five months, surpassing the chart peaks of previous hit 24K Magic.